Ukip's "ferrets in a bag" battle this week have entertained many, and frustrated many more. But the real battle is yet to come. Nigel Farage believes the comments coming from the likes of Patrick O'Flynn and Douglas Carswell are people letting off steam after a long General Election campaign, and there is no doubt some truth in that. It is an open secret that Carswell takes a far more libertarian view on immigration, and as he wrote in his Times article yesterday believes Ukip need to focus on other ways the European Union affects the UK. He also believes focusing on HIV sufferers makes the party look nasty, when it should be setting out a positive vision for life outside the EU. The article culminated with Carswell calling on Farage to "take a break". A source close to the Ukip leadership told me last night: "These are really sad comments". The source added: "Why doesn't Douglas, as the one MP for four million people, why doesn't he just focus on becoming a superstar?" But it is not just how the General Election campaign was conducted, but how the No to the EU campaign will run that is the gas underneath this pressure group - and this is bigger than Ukip. Like Farage, Carswell is a dyed-in-the-wool Eurosceptic who believes the UK would flourish without answering to Brussels. 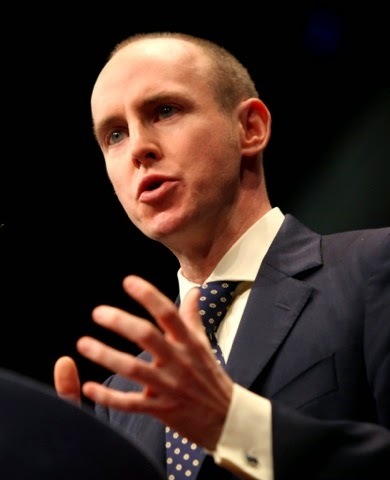 So to is Carswell's friend Daniel Hannan, who has been leading the charge against the EU since becoming a Tory MEP in 1999 - the same year as Farage. All three of these figures see themselves as the potential leader of the Out campaign in the EU referendum. Farage believes his 3.8million votes, high profile, and support of the Ukip membership should give him the right to lead. Carswell would point to the fact he is in Parliament, and is in a better position to attract support from the millions of voters who don't like Ukip but do want to leave the EU. Hannan seems himself as an intellectual who will be able to bring Tory voters and perhaps even convince some of the much derided Liberal Metropolitan Elite to back the Out campaign. Hannan and Carswell could work much better together than Farage and Hannan. The danger, for the Out campaign, is why the squabbles over who-should-do-what continue, Cameron et al will start to convince Brits he has achieved some monumental change to the UK's relationship with the EU, when really it will be little more than the colour of the tea cups in the negotiating room.